Phil Simpson blogging on Simon Walker’s view of leadership – Rock on! Leadership itself is an act of followership. There is no such thing as leadership in the sense of executive agency and decision-making that we often take it to mean. The leader is not in the business of taking decisions about the things that happen. Rather she should be in the business of responding to the leading of God’s Spirit. The only kind of leadership possible is described in John 5:19, where the Son describes his following of the movements of the divine Father. The chief quality of the leader, then, should not be the capacity to make decisions or be visionary, but rather to listen and be attentive. It is startling that we often seek to train our leaders to be better communicators (by which we mean ‘speakers’) believing that leadership is some act of persuasion. In fact, we should be looking for individuals who have cultivated a stillness of spirit such that they can attend to the movements of God. 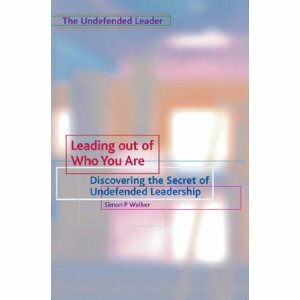 We should look for leaders who are sensitive to the tone of the room, to the unconscious voices in the discussion. We should be elevating women and men who have an awareness of the spiritual dimension to life, that runs in parallel to this world. I am not in the slightest bit interested in following men and women who can depict some grand vision, or who have a confidence about ‘the way we should be doing things’. I want to follow and learn from the men and women who struggle with the pain in the world and who are generous, kind, self-effacing, seeking to learn, fragile, patient, still and free, those who have known failure and not been crushed. I want to follow the one who can laugh at him- or herself and who does not try to achieve mighty things.